Bring imagination to life. 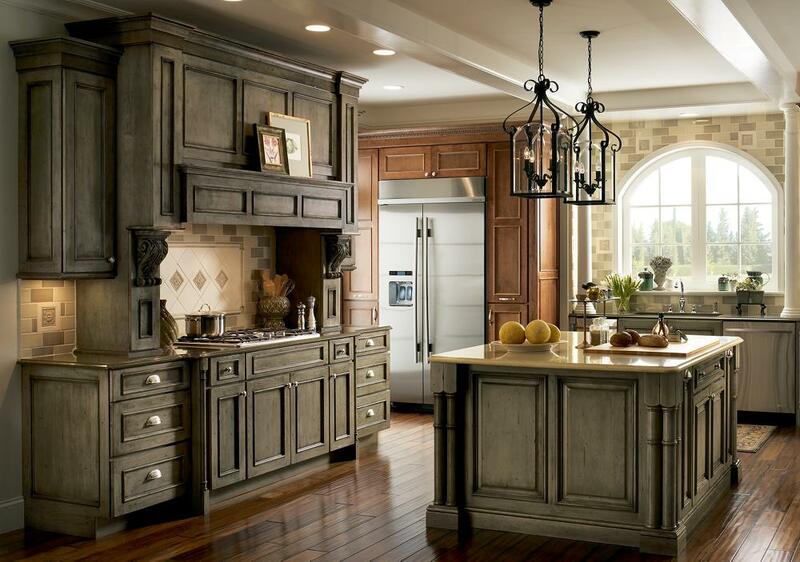 Our ability to fit your space opens the door to customized kitchen islands, range exhaust hoods and decorative accessories unique to your home and specific to your needs. "Adding a beautiful island stabilized the space and gave the family a place to cook together, sit together and eat together. Those were the major elements we started with and then we tweaked the design from there." Take a cruise through our most popular kitchen island designs, and discover the flexibility to create the perfect island for your own kitchen. Form and functional. The warmth of natural wood combined with the essential ventilation of your cooking area creates spectacular kitchen focal points. From stacked crown molding to graceful arched valances, your signature style can be found in the decorative kitchen cabinet accessories you select for your kitchen.